Banned UEFA president Michel Platini said he hoped to clear his name in time for the 2016 European Championship soccer tournament in June after attending a hearing on Monday to appeal against his suspension. Platini was banned for eight years in December along with FIFA president Sepp Blatter over a payment of two million Swiss francs ($2.03 million) made to the Frenchman in 2011 by FIFA with Blatter's approval for work done a decade earlier. "It's been a very good hearing, very well conducted, with people who have been sincere," Platini said after the hearing by FIFA's Appeal Committee. "I am quite happy with the way it has gone. "I hope to work again as soon as possible, go back to the office as soon as the decision has been given by the Appeal Committee and then prepare the Euro (tournament)," he told reporters after an eight-hour hearing at the headquarters of soccer's world ruling body. "There are important things to do. "I am waiting to come back to work on this great football party... which will take place in France," he added, referring to the 24-team Euro 2016 finals being held from June 10-July 10. FIFA's Ethics Committee, which imposed the bans on Blatter and Platini in December, said the payment, made at a time when the former was seeking re-election, lacked transparency and presented conflicts of interest. Both men have denied any wrongdoing and Blatter's appeal will be held on Tuesday. They can take their cases to the Court of Arbitration for Sport if they lose their appeals. Platini arrived at FIFA on foot from a nearby hotel and left driving a black car. As he drove out of the building, he hooted and called over reporters who had been waiting for him at a different gate. Relaxed and cheerful, he stood by his car and answered questions for about 10 minutes as sleet fell steadily. 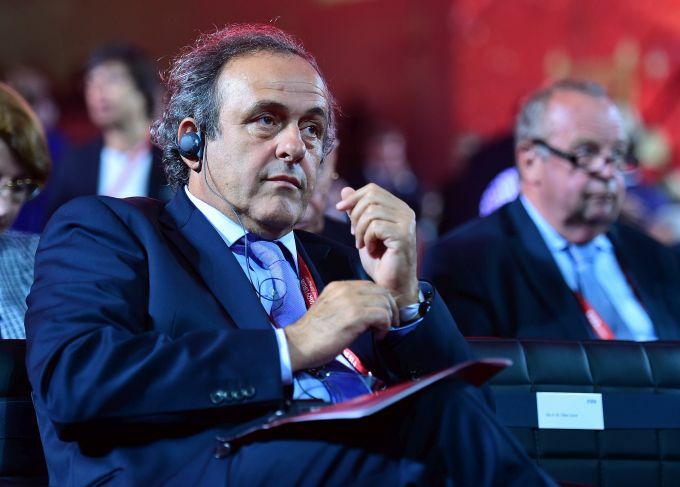 Platini, who said the FIFA payment to him was made following a verbal agreement, noted that Jacques Lambert, head of the Euro 2016 organising committee, and FIFA executive committee member Angel Maria Villar had given important evidence on his behalf. "I can't tell you if it worked but evidence provided by Jacques Lambert and Angel Villar was very important," he said. He added that his case hinged on whether the committee accepted his argument that the payment was part of a verbal agreement. "I would never (have) asked for (the payment) if they had paid me before," he said. "I trusted Mr Blatter to pay me as quickly as possible, but he didn't do it, so at some point I had to ask for the payment but it was nine years later. "I didn't have a problem with that, I trusted him." Platini had been favourite to win the FIFA election on Feb. 26 before he was banned. He is now focusing on returning to the UEFA presidency. "Yes I will have an eye, maybe two eyes, on the FIFA election. There are two favourites," he said, referring to UEFA general secretary Gianni Infantino and Sheikh Salman Bin Ebrahim Al-Khalifa of Bahrain. "Gianni is the person that I trained over the past few years, Sheikh Salman is a friend and... it is difficult to back one of them publicly." It's Arab world vs soccer world!